Passed away on 8th March, 2018 in Auckland. Dr. Khan taught in the Postgraduate programme from 2013-2016. He was lecturer for International Human Resource Management, Leadership, Communication and Change, and Postgraduate Research Methods papers. He also supervised Master’s thesis/research projects and mentored Master of International Studies students. Taking a proactive approach to academic and pastoral matters, Dr Khan assisted the Assistant Dean of IPU’s postgraduate programmes in designing and evaluating Master’s papers. He was an active community worker who generously guided and mentored Indian ethnic migrants in New Zealand. The New Zealand Government made Dr. Khan a Justice of the Peace and awarded him with a Queen’s Service Medal. 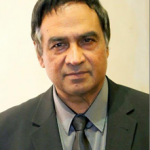 Dr Khan will never be forgotten for his services to IPU New Zealand and the wider community.